The number of cyclists in Brussels has doubled in the past five years - with the Rue de la Loi officially the city's busiest cycling street, according to new figures. The stats are based on a quarterly count by volunteers from the Brussels Bike Observatory at 26 key locations around the Brussels region - and the results represent a 15.7% increase on 2017. Almost 35,000 cyclists per day were recorded during the 2018 counts, compared with 16,000 in 2013. According to this latest census, women account for just a third of the region's cyclists. Just over half (55%) of the cyclists counted wore a helmet, and three-quarters had lights. After Rue de la Loi in first place - with 1,000 cyclists per hour in the morning rush-hour - the next busiest locations in 2018 were Mérode, Porte de Flandre, the junction of Avenue Louise and Rue du Bailli, and the Avenue de la Couronne, next to Germoir rail station. The quietest locations were Gare de l'Ouest, Place Emile Bockstael and where Chaussée de Waterloo meets Avenue de Fré in Uccle. ASBL Pro Vélo, which is behind the observatory's quarterly count, says the rise in electric bikes is helping fuel a boost in cycling numbers in the city. 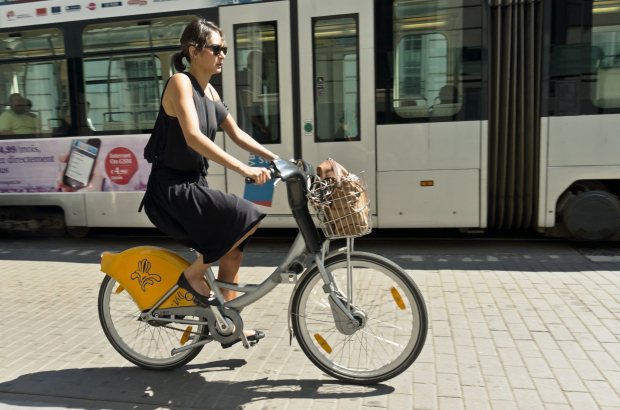 "These numbers demonstrate the value of investing in a secure cycling infrastructure," said Brussels mobility minister Pascal Smet. "When you give more space to cyclists, you get more cyclists on the street."